Even though 2014 has not yet drawn to a conclusion, it is already clear that the year has been an exceptional one in terms of the new drugs launched – many of the new treatments are genuine advances in their therapy areas, and offer healthier and longer lives for many patients. However, as everyone involved in cancer therapy knows, the arrival of new drugs is just one aspect within the broad field of oncology – improving diagnosis, the quality of life of patients, extending their lives, and debates about the affordability of treatments are just some of the other issues in play. Another key theme of the year was the continued rise of patient power, and this was particularly apparent in cancer. In a change from recent years, the therapy area which dominated the headlines in 2014 wasn’t cancer, but hepatitis C. Gilead’s Sovaldi heralded a new era of faster treatment, with fewer side effects, and the potential of a cure for many patients. But Sovaldi’s entry to the market bore close resemblance to those of recent cancer launches: Sovaldi’s high US price ($84,000 for a course of treatment) found it at the centre of a major controversy about its affordability, and these issues were as present as ever in oncology too. Besides hepatitis C, it was cancer which was the other major focus for the pharma industry this year, with an exceptional array of exciting new drug treatments. Perhaps chief among these were the new class of PD-1/PD-L1 immunotherapies, with Merck winning the race to the US market in September, with its drug Keytruda (pembrolizumab). Merck had pipped its rival Bristol-Myers Squibb to the post in the US, but BMS had in fact secured the world’s first PD-1 approval, with Japan’s clearance of its Opdivo (nivolumab) in July. The first approvals for the new PD-1s are in melanoma, but a wide range of different immunotherapies (PD-1/PD-L1s and other mechanisms) are currently in the pipeline for a very broad range of tumour types. Like Sovaldi, these drugs promise a major advance in treatment, but don’t come cheap: Keytruda costs $12,500 per month, a sum which will cause further problems for healthcare insurers in the US, and patients who will have to contribute to these costs. In September, Europe’s leading cancer congress ESMO was an opportunity for researchers and pharma companies to showcase early results from the immunotherapy drugs, including one areas of high unmet need, lung cancer. Read my report A breakthrough in lung cancer – the biggest prize in immunotherapy. Another highlight of the ESMO conference was Roche’s new data on its breast cancer treatment Perjeta. The very impressive results showed Perjeta could help extend the lives of women with advanced breast cancer by over a year compared to existing treatments. Read our news coverage Stunning results for Roche’s Perjeta in extending lives. A further area of exciting advances in 2014 was haemato-oncology, thanks to the approval of numerous new treatments. Among these were three approved this year for use in chronic lymphocytic leukaemia (CLL): Roche’s Gazyva (obinutuzumab), Gilead’s Zydelig (idelalisib) and Janssen and Pharmacyclics’ Imbruvica (ibrutinib). In November, pharmaphorum examined the approval of GSK’s established product Arzerra by NICE, and looked ahead to the arrival of the new treatments. Arzerra gains NICE nod – but Imbruvica is waiting in the wings. However there were many voices in the all-important US market warning that the trend for ever-higher prices was unsustainable. A special edition of the US current affairs programme 60 Minutes looked at the issue, with many oncologists warning about the effects on patients. Gastrointestinal oncologist Leonard Saltz of the Memorial Sloan Kettering Cancer Center said a cancer diagnosis is now “one of the leading causes of personal bankruptcy” in the US, suggesting that the term “financial toxicity” is now being used to describe another side effect of drug therapy. Read our report Row over drug prices flares up again. 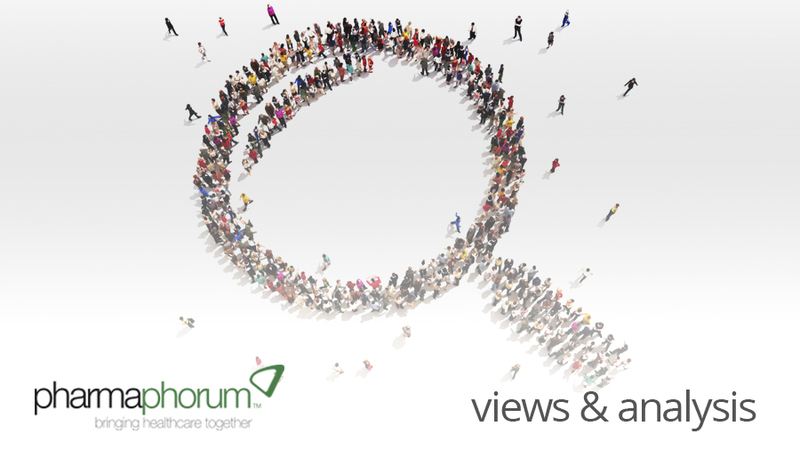 Over the year, pharmaphorum hosted the views of a full range of stakeholders on the subject, and in October, Sue Mahony, president of Lilly Oncology added her voice to the debate. In her article, Cancer drugs: value is about more than cost she argued that the “biggest untold story” is that cancer medicines make up the smallest and most stable portion of overall cancer care expenditure. In the UK, the debate around prices of cancer drugs centred on England’s Cancer Drugs Fund, which is set to be reformed in 2015. In August, Breakthrough Breast Cancer launched its Demand A Fair Price campaign, and called on pharma companies, NICE and the government to work together to solve problems of access to new breast cancer treatments. The charity criticised the ‘inflated’ cancer drug prices set by pharma, and demanded the UK government, regulators and industry to fix what it called a “dysfunctional and inequitable” drug appraisal system. In October, Breakthrough Breast Cancer’s senior policy officer Sally Greenbrook laid out the charity’s position on pharmaphorum. Read her article Patient perspective: a fair price for life-extending drugs. Our regular contributor Leela Barham helped explain the issues at stake in her analysis Political dynamite – England’s Cancer Drugs Fund. As the population ages, more and more of us are likely to experience a cancer diagnosis, a fact which is placing a great burden on healthcare systems everywhere. In the UK, cancer survival rates are still lagging behind those of comparable countries in Europe. There are a number of reasons behind this picture, but the country’s failure to diagnose more cancers earlier is seen as a key factor. In December, John Baron MP, chairman of the All Party Parliamentary Group on Cancer talked to pharmaphorum about the group’s drive to improve the UK’s poor record in early cancer diagnosis. Earlier diagnosis – The key to improving Britain’s cancer survival rates. One of the dominant themes of 2014 across the industry was how the drug discovery and development process could be accelerated, and made to serve patient needs more closely. September was Childhood Cancer Awareness Month in the UK, and Healthcare Partners’ Louise Bellamy highlighted the research being done in the field, and looked at what more needs to be done to help fight childhood cancers. Read Collaboration advances research into childhood cancers. In November, Dr Tim Ringrose spoke to specialist in the field, consultant oncologist Dr Bob Phillips, about the challenges and opportunities in the field of childhood and teenage-young adult cancers. Read the article How can pharma innovate in childhood and TYA cancer? In July, INC Research’s oncology specialist Dr Nick Kenny covered a wide range of fascinating developments in the field, including the arrival of biosimilars, the need for new companion diagnostics, the stratification of medicine and the impact of the FDA’s Breakthrough Therapy Designation. Read the article Clinical Trials Insight: Oncology. Finally, 2014 was also remarkable for the onward march of patient power, and this was seen especially within cancer. 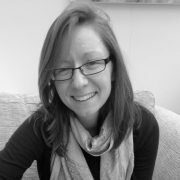 In October Kate Kershaw of the UK’s The Brain Tumour Charity, talked to pharmaphorum about what patients need as it launched its latest initiative – an online resource featuring a series of animations to help children with brain tumours, their families and health professionals. Patient Perspective: The Brain Tumour Charity. Former cancer patient Andrew Schorr is one of a new breed of ‘Patient Opinion Leaders’ (POLs) who are becoming increasingly influential, and are beginning to shape policies and practices on the front line of care. In July, Andrew recorded a video exclusively for pharmaphorum, explaining the rise of the POL, and his own experience of being a cancer patient and survivor. Watch Andrew Schorr’s video here. Another pioneer in the field is Jan Geissler. As the head of EUPATI, a consortium of organisations working to put patients at the heart of drug R&D, Jan Geissler has seen first-hand how bringing patients and industry together can help keep research on track and benefit all. Read Jan’s article Patients as partners in medicines development – the EUPATI project. Our thanks to everyone who contributed to pharmaphorum in 2014, including all the authors listed above, and the many more we didn’t have space to mention. Thanks also to all of you who contributed comments via our website or via social media. Look out for the launch of a new pharmaphorum initiative in January, Healthcare Partners, a new educational programme focusing on innovation in cancer within the UK. 2015 promises to be another momentous year in the field of cancer, with further advances in therapy expected, along with debates about some of the difficult choices facing pharma companies, healthcare systems and patients.